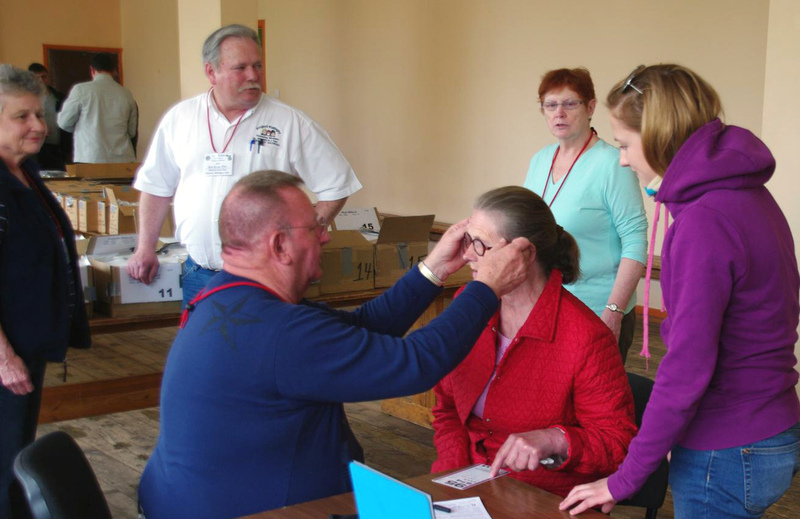 Lion Dave Bennett, fitting eyeglasses on patient of 2012 Lions To Latvia Eyeglass Mission. In Valmiera, Latvia, May 5, 2012. This is the fifth Mission to Latvia since 2002. 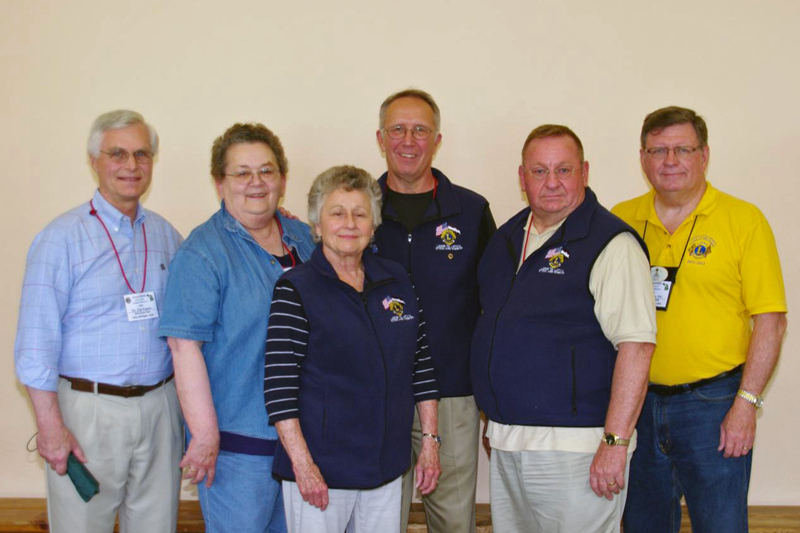 The Holt Lions have been the main sponsor and organizer of all the Missions. 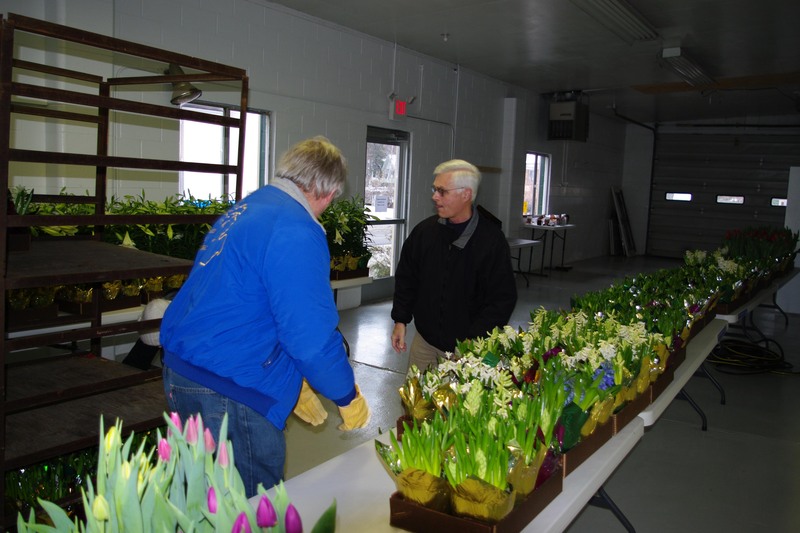 Holt Lions preparing the flowers for the annual Easter Flower Sale. 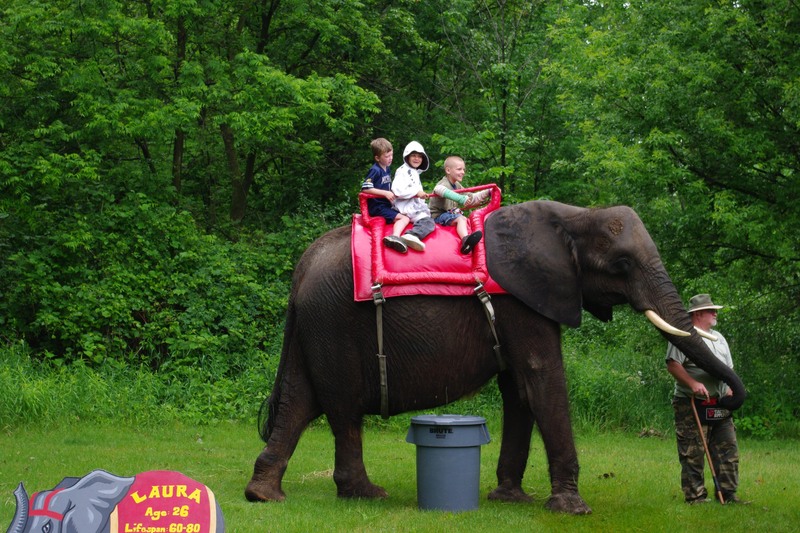 Holt Community Kids Day with Laura the Elephant. 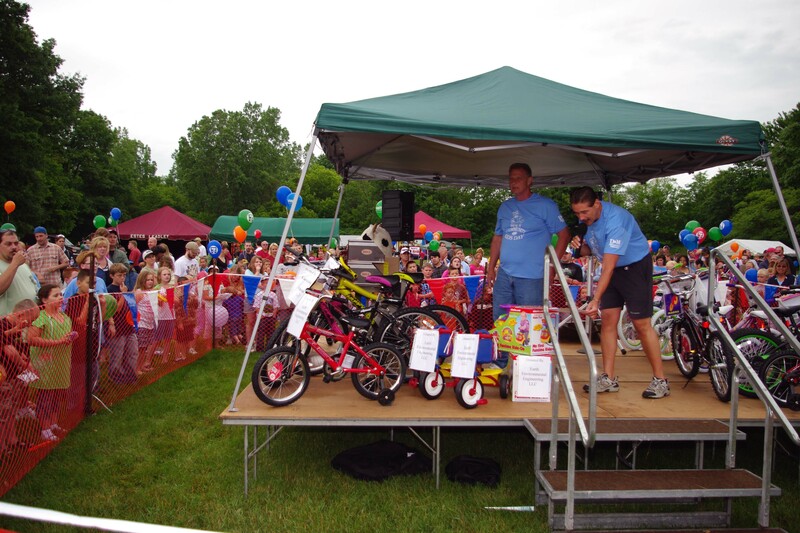 Holt Community Kids Day starting to give away 12 plus bikes and scooters free. Holt Lions Board of Directors Induction June 26, 2009. Lion President Mike Golden addresses the Club, coaches and students of HHS at an annual Sports Night Program. Sports Night recognizes the unsung hero's of each HHS team and is selected by the coach. 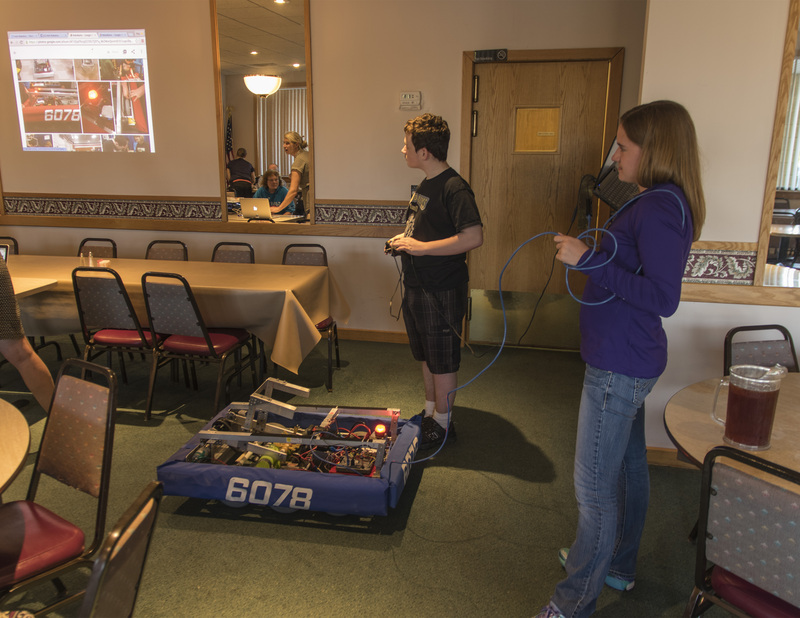 Holt Lions and others tour the Leader Dog School in Rochester, MI 10-17-09.